Over Easter (which seems like a very long time ago now) we went to Italy for 10 days, staying in Rome and Venice. Ever since I first heard of Venice as a kid I've been wanting to go. It's really has been in my top 5 places to visit since forever. Rome I thought would be lovely, but it was certainly lower on the list than Venice. So I was suprised to find that of the two Rome was my absolute favourite. Don't get me wrong. Venice is utterly gorgeous. It's a place like no other in the world and a complete delight (and I did enjoy all the prosecco). I am so grateful I got to go there, and enjoy it for a few days. 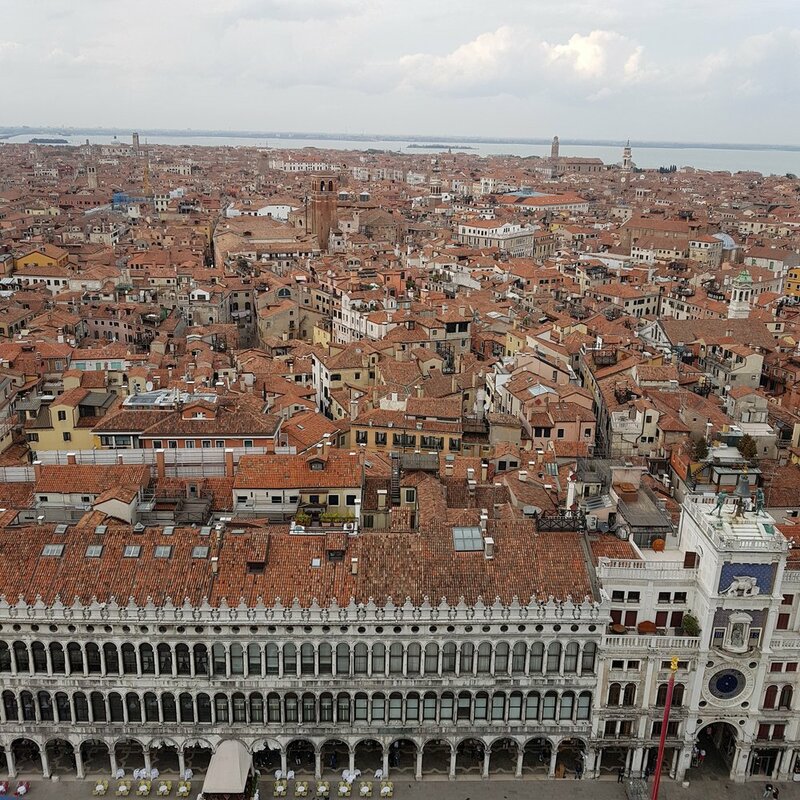 But in all honesty I'm a country girl at heart, and not being able to see a horizon unless you climb up the campanile at Saint Marks (see above) got to me pretty quickly. We were there for 4 days and to me it had the feel of the lanes in Brighton. I got lost - and my eldest child (who apparently has an amazing sense of direction) effortlessly guided me around. It made me feel a bit confused and slightly dim. Venice is truly beautiful though and I dreamt of jade and gold for the time I was there. Luckily we have pretty understanding kids who don't seem to really mind being dragged around art gallery after art gallery (as long as there was some gelato in it for them afterwards). Rome had me reaching for my guidebook at every turn, trying to figure out what each amazing building was... "oh right, it's not even in the book, it's just an office then. Of course". The Forum was mindblowing in it's history. especially loved the replica bronze doors to a church that were only built in 346AD. There is something so lovely about visiting a city, coming from a teeny little village in the Surrey Hills. The hustle and bustle was lovely (for a short while) and I do love being a tourist and exploring a new place. But I think it was the colours in both of these cities that really made me itch to get home and start making some new designs.